Jesus is NOT Your Mediator: Another Gospel. 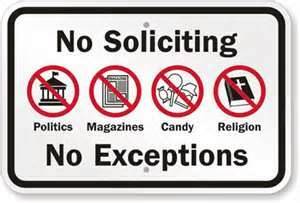 In case you couldn’t tell from my last post, I really did not enjoy (to put it mildly) going door to door, preaching the Good News of God’s Kingdom. The Good News that in a nutshell was: if you do not become a Jehovah’s Witness, you have no hope of living in Paradise on earth and that Jehovah was going to smite you at Armageddon. I was listening to a podcast the other day by Pastor Joe Schimmel of Good Hope Chapel of Simi Valley, CA entitled “Witnessing to Jehovah’s Witnesses” (see my links to download). I encourage you, if you are interested in conversing with the Witness that comes to your door to take some time to listen to this 2 part podcast if you can. Pastor Schimmel makes an excellent point: While the Witnesses know that they are commanded to go forth and preach the gospel of the kingdom (Matthew 24:14), they really have no idea about what the gospel truly is. Pastor Schimmel touched on the bodily ressurection in his podcast, but I would like to focus on the very first part of the gospel message and how the scriptures really compare to what the Jehovah’s Witnesses teach. A good day out in field service is when . . . I recently joined a Sunday morning bible study group that has been focusing on the book of Colossians. This study has touched me in so many ways. Especially as the Gnostic influence that Paul was warning this congregation in Colosse about hits very close to home for me having been raised a Jehovah’s Witness. This past Sunday we came to this passage in Colossians 2:18-19 (KJV): Let no man beguile you of your reward in a voluntary humility and worshipping of angels, intruding into those things which he hath not seen, vainly puffed up by his fleshly mind. And not holding the Head, from which all the body by joints and hands having nourishment ministered, and knit together, increaseth with the increase of God. Beguile is defined by Dictionary.com in this way: 1. to influence by trickery, flattery, etc. ; mislead; delude. 2.to take away from by cheating or deceiving (usually followed by of ) 3. to charm or divert. How easy is it for a person to be “beguiled” as far as the gospel is concerned? Easier than one would like to think. Take for example a charismatic and confident leader who appears to have a great knowledge of history and the bible. Or a writer who can lay the words out in such a way their conclusions seem to come from great insight. How many times do we as Christians sit back and say to ourselves — yeah, that must be what the Bible means, after all this person has invested so much time and energy in researching this subject and they have a greater understanding than I could ever have? Not even bothering to revisit the scriptures discussed? Could it also be true of us that it is easier to accept what they say because we don’t have the time, energy or drive to checkup on what they are telling us? How far really is that from being tied to a person or group that will make us feel that if we question what they have to say — we are questioning God himself? This is a subject I have touched on a couple of times in this blog. I feel the urge to shout it from the mountaintops! I also feel the need to remind myself constantly that it is I who bears the responsibility before God to test that I am holding on to the firm foundations of the Word and not losing sight of the real leader in my life, the head of the church – Jesus our Lord. Our words can help or hurt a fact which I need to convict myself of daily. I write a great deal on the things we say. The Bible is full of commands and warnings about what you say! It says that literal “life and death” is found in the tongue. You will have what you say! It likens the tongue to being capable of producing literal life, death, a raging fire, kindness, healing, breaking someone down, building someone up, peace, extending the years of your life, and this is only naming a few! An inspirational testimony about breaking free . . .
What led Peter Price to leave Jehovah’s Witnesses after 30 years of devoted service to God and the organisation. Part two of a remarkable interview with Doug Harris on Genesis TV. Peter despaired of preaching what he did not believe and left the Jehovah’s Witnesses. He was shunned by his family and spent 10 further years in a God-less wilderness. Finally he came to know the Lord Jesus and became a Christian church pastor. I am sure I missed a few. What are your favorite comparitive scriptures?